Goya General Market Rice Mixes | Alan Stabile Graphic Productions LLC. Goya General Market Rice Mixes – Alan Stabile Graphic Productions LLC. 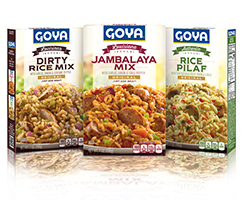 The introduction of the General Market Rice Mixes products into Goya Foods, Inc., existing rice mixes line needed to communicate both the novelty of these products as well as their relationship to the quality consumers of Goya rice products were used to enjoy. 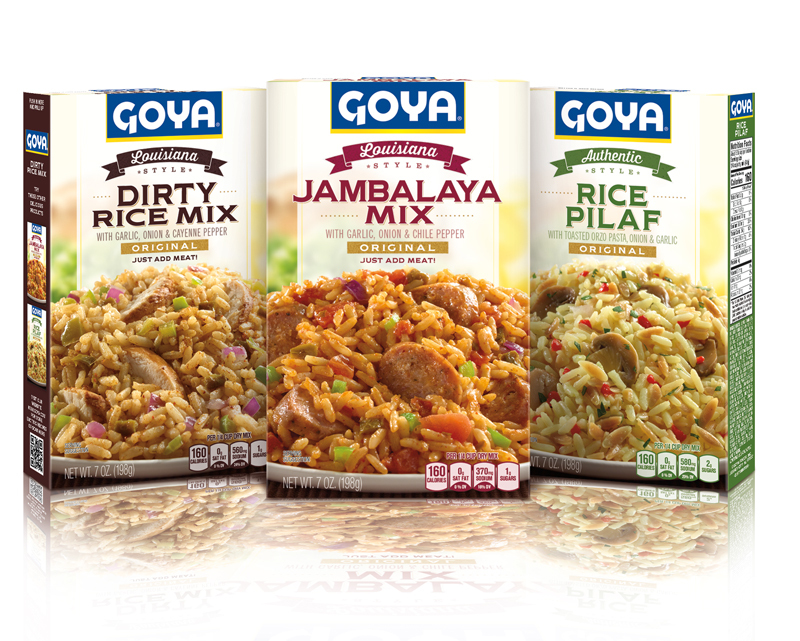 Our teams’ response to these design directives was to build upon the equity of existing design elements in the Goya rice mixes line while adding new design elements that will highlight the products’ novelty. In the new designs, we included ghosted panels for bold flavor names and descriptors, color coding, and dynamic bold photography with close cropping, bleeding off both sides for high impact shelf appeal. 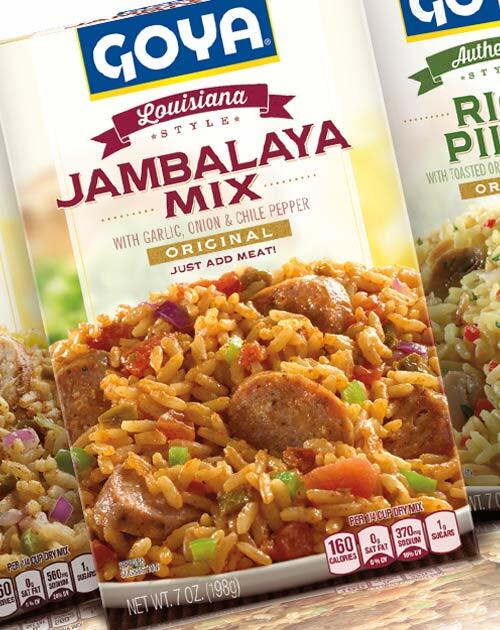 The addition of quality photography with creative food styling including background imagery helped communicate to the consumers the wholesome, authentic, natural and fresh qualities that characterize both Goya and General Market Rice Mixes products. This project highlights ASGP LLC design capabilities, which include photography art direction and photo retouching. This combination of in-house service ensures the highest quality design and production standards to our clients.